Costa Rica is een klein land in Midden-Amerika en een van de meest trendy vakantie- en avontuur-bestemmingen in Latijns-Amerika. Een van de belangrijkste inkomstbronnen van Costa Rica is het toerisme. Costa Rica is ook een democratisch en vreedzaam land, en was het eerste in de wereld die grondwettelijk haar leger afschafte in 1949. Geweldige golven het hele jaar door! Warm water het hele jaar door! 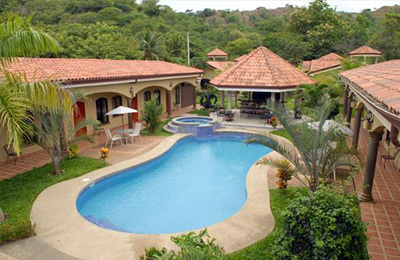 TAMARINDO Surf Camp - Guanacaste, Tamarindo Algehele gastenwaardering: ★★★★★ 5 gebaseerd op 1 beoordelingen. 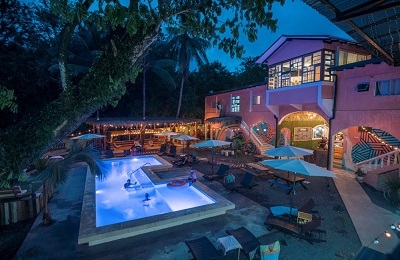 PUERTO VIEJO Accommodation, Surf Lodge & Surf Camp - Limon, Talamanca Algehele gastenwaardering: ☆☆☆☆☆ 0 gebaseerd op 0 beoordelingen. PLAYA HERMOSA Surf Tours & Surf Resort - Puntarenas, Nicoya Peninsula Algehele gastenwaardering: ☆☆☆☆☆ 0 gebaseerd op 0 beoordelingen. 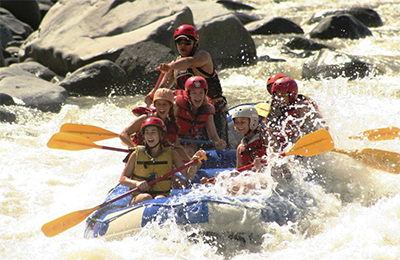 Turrialba Teens Adventures Camp - Cartago, San Jose Algehele gastenwaardering: ★★★★★ 5 gebaseerd op 5 beoordelingen. 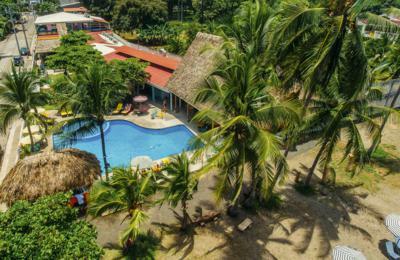 Santa Teresa Beach Surf Hostel - Puntarenas, Nicoya Peninsula Algehele gastenwaardering: ★★★★★ 5 gebaseerd op 3 beoordelingen. The biggest hostel on the main road, a 4-story playground that totally vibes with the town’s artistic environment and culture. With a bed and a room for all tastes Santa Teresa Surf Club & Hostel has an electric social atmosphere and soon-to- be life long friends awaiting your arrival. Here you can paddleboard, snorkel, or check out some amazing marine fauna. Take an adventure on horseback or ATV and discover Montezuma’s waterfalls, or put on your boots and explore Cabo Blanco, the oldest nature reserve in Costa Rica. After the sun goes down, you can get down at the local dancehall, or stay up all night long dancing to the beats of international DJs. Costa Rica, Panama, Nicaragua Surf Trip - Best Surf spots, South America Algehele gastenwaardering: ★★★★★ 5 gebaseerd op 2 beoordelingen. 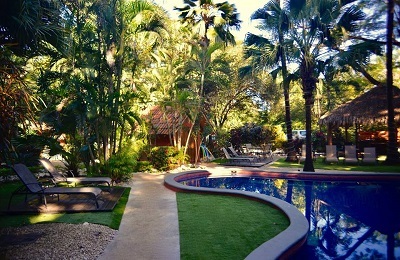 Santa Teresa Beach Surf & Yoga Hotel - Cobano, Puntarenas Algehele gastenwaardering: ★★★★★ 5 gebaseerd op 4 beoordelingen. 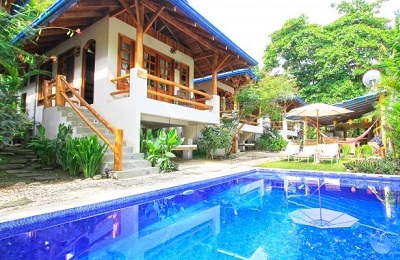 Our accommodation, an “eco chic hotel” is a jungle oasis in Santa Teresa Malpais, only 500 meters away from one of the most beautiful beaches in Costa Rica. 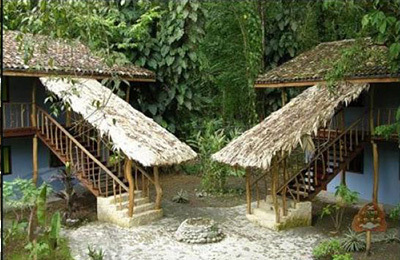 Here luxury is experienced in harmony with nature and simple sensations such as, relaxing on a bamboo hanging bed or listening to the amazing sounds of the jungle. Playa Jacó Surf School & Surf Hostel - Liberia, San José Algehele gastenwaardering: ★★★★★ 5 gebaseerd op 3 beoordelingen. Teeming with energy, its main drag seemingly bursting at the seams, Jacó brings together locals and foreigners, snowbirds and surfers, revelers and families. Just a quick trip from San Jose. 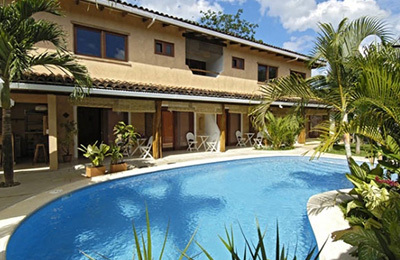 From hard-core surfing to family-friendly activities, Jacó has it all. You can ride on horseback through the rainforest or take an ATV tour to waterfalls and beaches off the beaten path. Take a leap, either with a bungee cord or with a zipline through the forest canopy. Other tours include scuba diving, sports fishing, and sea kayaking. The town offers every modern convenience, as well as great cuisine and shopping and an all-you-can-handle nightlife. 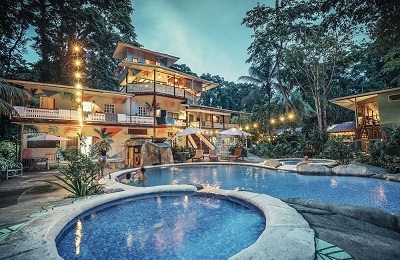 Puerto Viejo-Cocle Surf Hotel - San José and Limón, Costa Rica Algehele gastenwaardering: ★★★★★ 5 gebaseerd op 5 beoordelingen. The exuberance of Puerto Viejo will remind you of what’s important. A place where the ocean and the jungle meet in perfect harmony. The diversity of its people and the reggae vibes... This is the Costa Rican Caribbean! A hostel experience like no other has emerged. Kayaking, snorkeling, surfing, jungle night walks, delicious afro Caribbean food, the mouth-watering chocolate made by soulful Bribri hands and hitting the Dance Hall Reggae night with all your new friends. The world tribe gathers in the perfect location. From dorm rooms to suites this social extravaganza will build lasting bonds that will endure the passage of time. 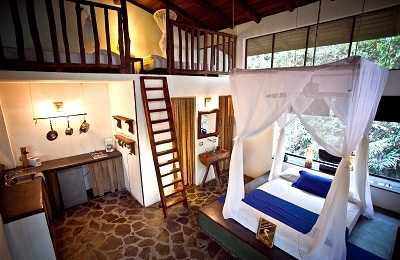 PLAYA GRANDE Surf Camp - Guanacaste, Tamarindo Algehele gastenwaardering: ★★★★★ 5 gebaseerd op 3 beoordelingen. 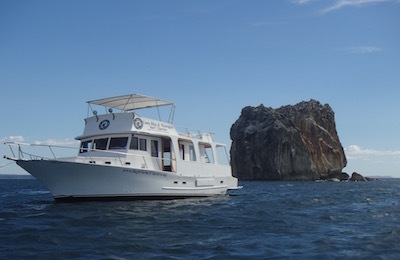 Witch’s Rock Fishing & Surf Charter - Guanacaste, Liberia Algehele gastenwaardering: ★★★★★ 5 gebaseerd op 3 beoordelingen. 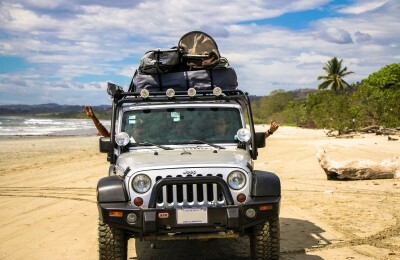 Witch’s Rock Surf & Fishing Charter focus on the remote breaks of Northwest Costa Rica including Witch’s Rock & Ollie’s Point and Southern Pacific Nicaragua. Our fishing charters will take you to the best fishing ares in Guanacaste. Our day charters will take you to secluded beaches and snorkeling destinations only accessible by boat, where you may see giant manta rays, huge schools of fish, octopus, eels and more of the diverse marine life that Costa Rica has to offer. Sit back and cruise the coast with schools of dolphins playing in the bow wake and come evening, take in the beautiful sunset. 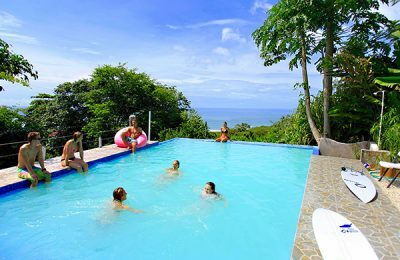 Playa Santa Teresa Surf Camp - Santa Teresa, Provincia de Puntarenas Algehele gastenwaardering: ★★★★★ 5 gebaseerd op 5 beoordelingen.